A Labyrinth is a flat surface containing an intricately designed pathway but unlike a maze, there are no dead ends, it is one continuous path. 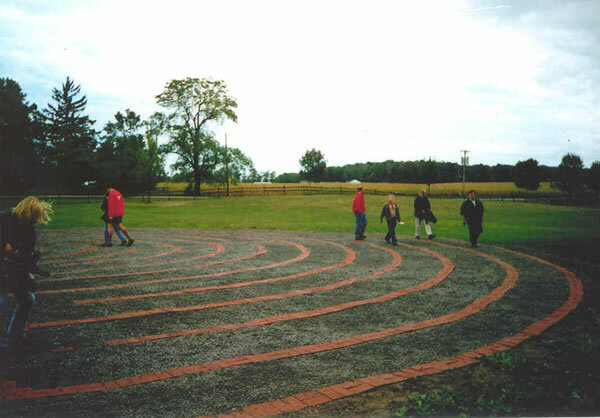 The design for the David A. Dimeo Memorial Labyrinth is known as the Chartes pattern and it dates back to the Middle Ages. The pattern was originally constructed at the Chartes Cathedral in France. This popular design is considered the most graceful and elaborate.